I have this trait that’s both positive and negative… it’s this thing where I really want to prove someone wrong. It’s kind of like when someone calls Marty McFly a chicken; he can’t help but retaliate. This trait gets triggered the most when I’m parenting because I have a child who can be quite stubborn at times. His stubbornness comes out a lot when we’re eating. One week he loves broccoli. The next? DON’T EVEN SAY THE WORD (don’t do it!!). Raspberry jam is his favorite jam but will he eat a regular raspberry?? No, sir. Imagine me putting a raspberry on top each of my fingers showing him how fun it is. I did that and he was still not convinced. This is when my brain locks into MUST PROVE HIM WRONG mode. Oh yeah? You don’t like raspberries? 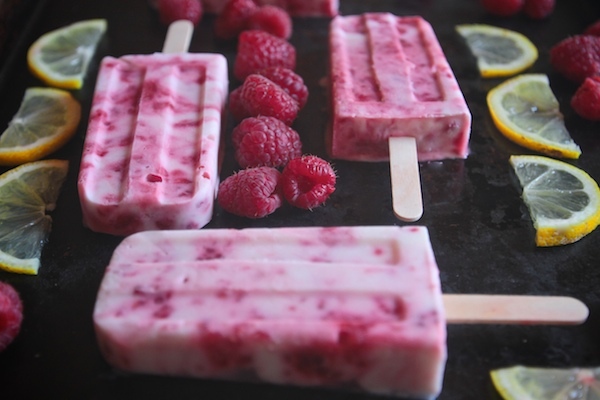 How about I pack almost two containers of fresh raspberries into some popsicles (his favorite treat) and swirl in some leftover lemon curd for good measure? Let’s see how that goes. Him: MOM! These are NOT RASPBERRIES. Why did you say they are when they’re not?! Him: NO THEY ARE NOT because I LIKE THEM. Can I have a popsicle for breakfast tomorrow? We pick our battles, folks. Let’s gather our ingredients. 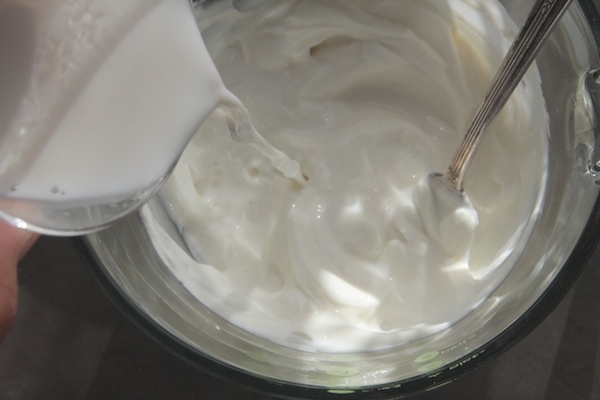 If you use a regular yogurt, you might not need to thin it out. Allllls I had was Greek. We mash our raspberries with a fork. Proof they’re raspberries, COOPER. 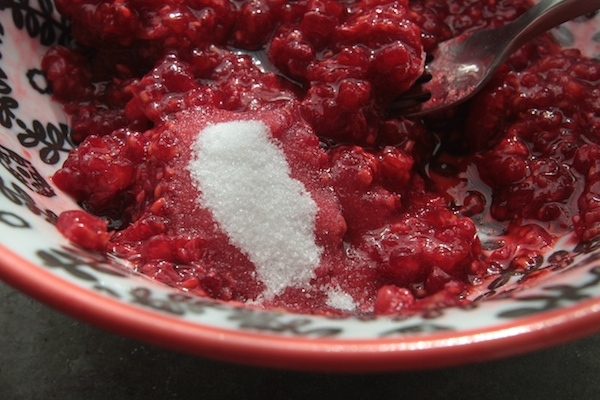 We add a spoonful of sugar to make the medicine go down… Sorry to get that stuck in your head. Yogurt base time! Agave syrup goes in. 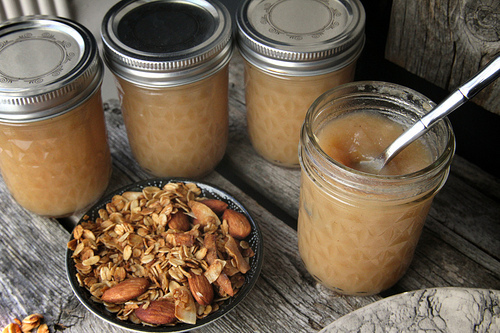 Honey and maple syrup are both suitable substitutions. Stir it with an old tarnished vintage fork. Just kidding, use you whatever you want. Your hands are questionable though. Ahhhhh. There’s the milk I forgot to put in my photo above. GOT MILK? Yes. Yes I do. Pour it into the yogurt. Let’s thin it out. 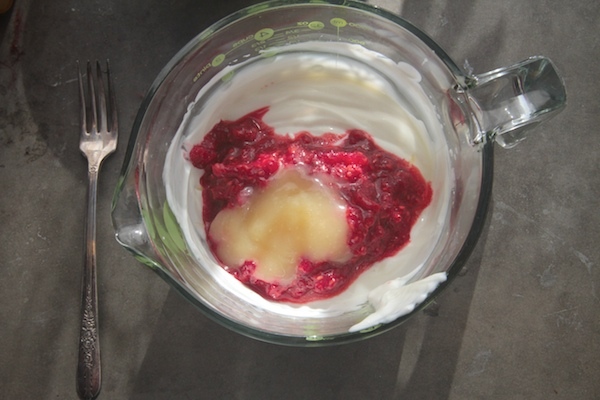 Take the raspberries and lemon curd and GENTLY/subtly stir them both into the yogurt. We want swirls. It’s like marbling! It kinda looks like there’s a mermaid tail hanging off the side. 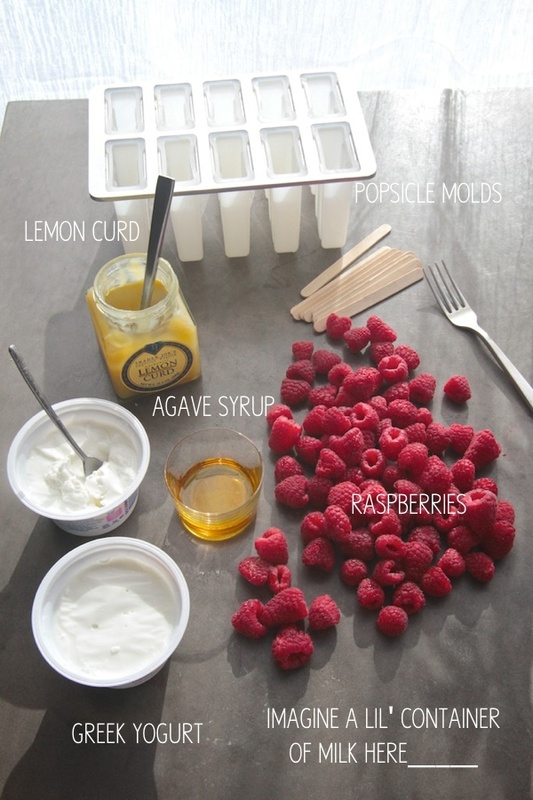 Spoon/pour it into your popsicle molds. And FREEZE. 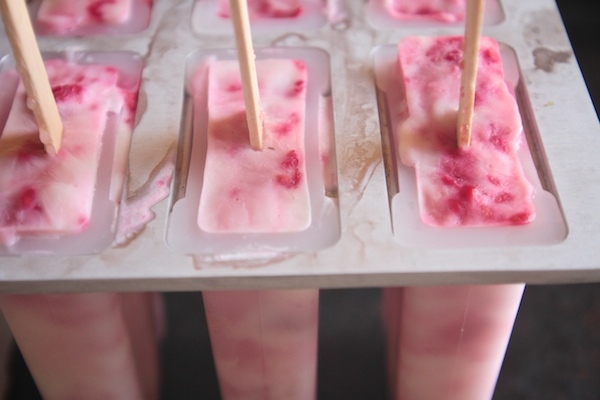 If you’re using these popsicle molds, you will want to put the sticks in after about 35 minutes. DONE DID. Takes about 4-5 hours and you’re golden. 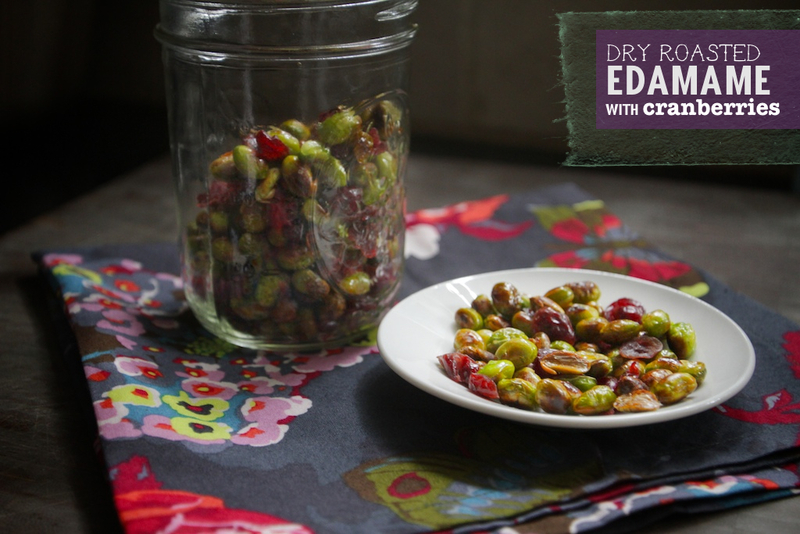 Tart, tangy, sweet, seedy, LEMONY goodness. You’re gonna love that lemon curd swirl! And yes, THOSE ARE RASPBERRIES. You still reading??! Cool. You made it to the part where I tell you it’s POPSICLE WEEK. My friend Billy of Wit & Vinegar spearheaded POPSICLE WEEK 2014 (with a bedazzled popsicle stick). 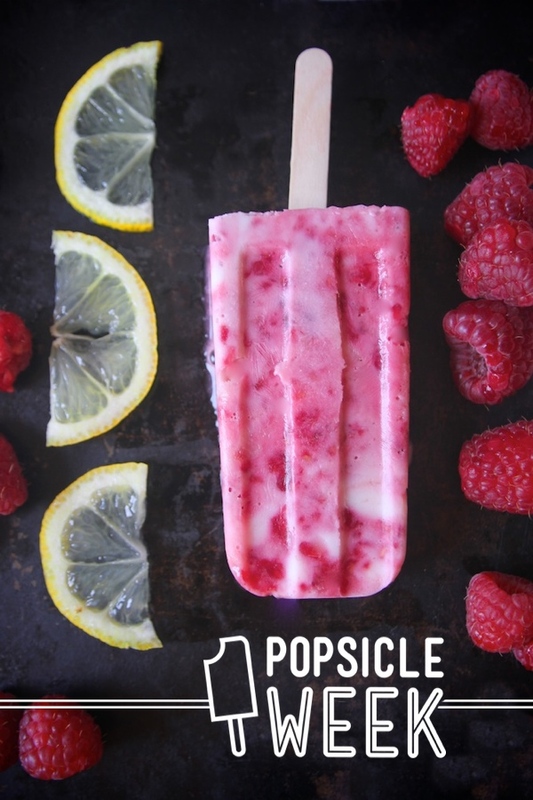 “What’s Popsicle week?” Thirty-seven of bloggers from all around the world are joining in the fun and sharing a popsicle recipe this week. Last year I made these Cantaloupe Campari Pops! 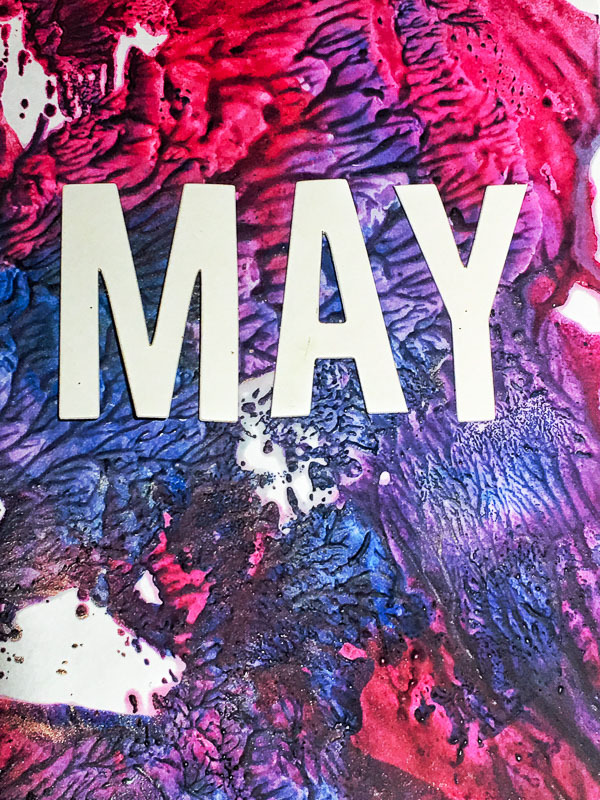 So, bust out your popsicle molds, make some space in your freezer and look at this animated gif. That’s the hashtag above! You can follow along on instagram & other social media outlets you’re addicted to. 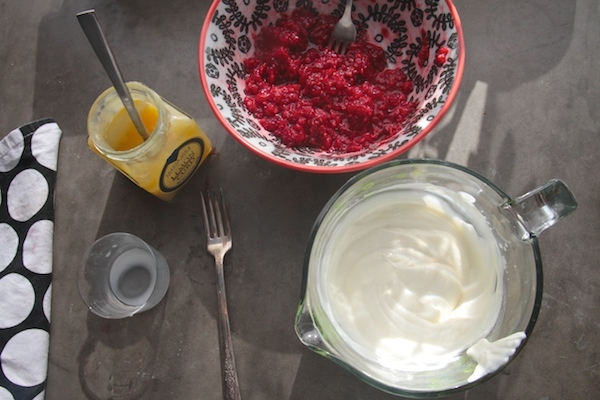 In a medium bowl, mash the raspberries with a fork. Stir in sugar and set mixture aside. 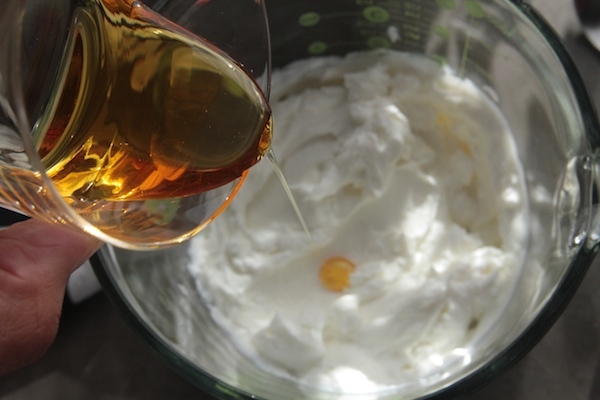 In a large measuring cup with spout, mix yogurt with agave syrup until well combined. 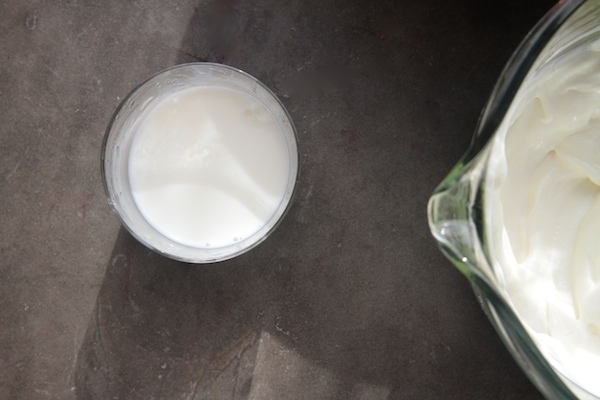 Add milk into yogurt mixture to thin out. 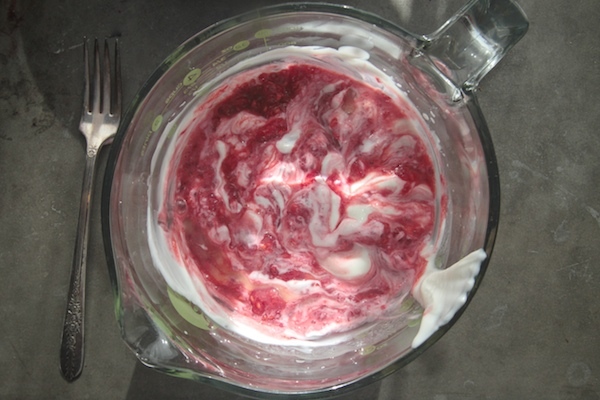 Gently swirl in raspberries and lemon curd. 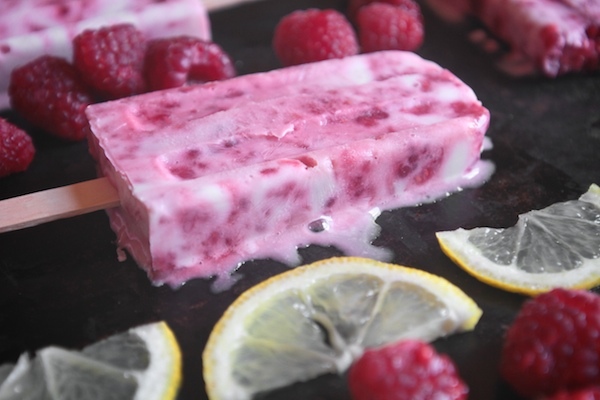 You’ll want to have some beautiful raspberry lemon swirls in your popsicles so be careful not to over-mix. 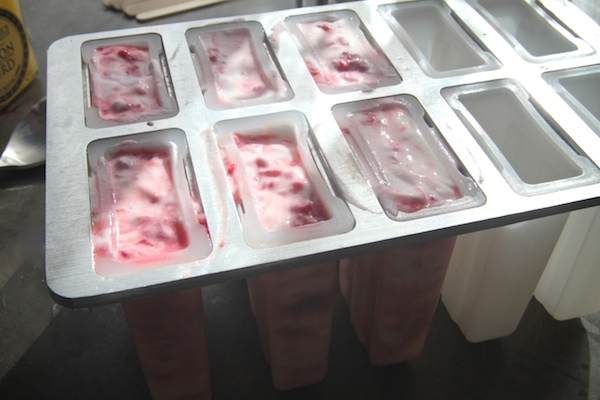 Transfer mixture to popsicle molds, filling up 3/4 full. 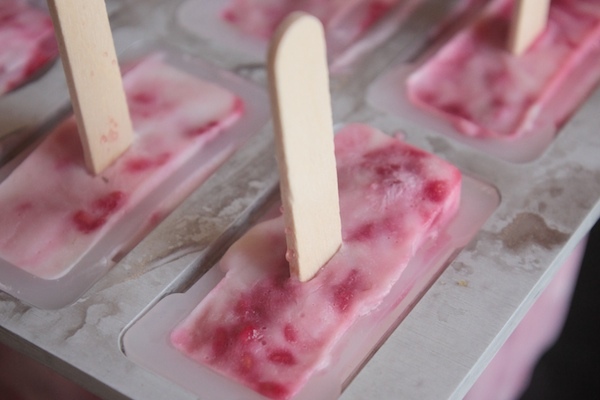 Freeze for 35 minutes, add popsicle sticks and freeze until popsicles are frozen, about 4-5 hours. My kids seem to love whatever I put in the form of a popsicle! These look like they’d be grown up approved, too. Love. Woohoo for popsicle week! I’m making coconut, salted caramel & dark chocolate pops since I’m a chocoholic, but these look amazing! So funny about Cooper… my brother (he’s 13 though!) won’t touch pecans or walnuts in anything except pecan brownies. Craziness! Laughed so hard at this post! Hilarious and wonderful as always. Delicious and such a funny post! 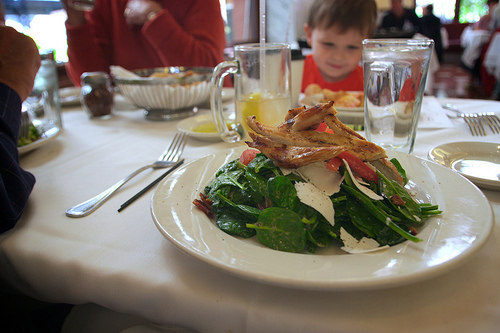 Your little man is in for a treat – raspberries and all. Too cute! 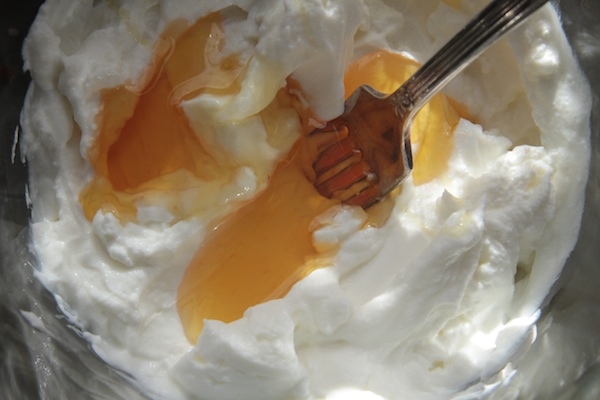 Do you use full fat greek yogurt? I made some popsicles with nonfat because it was what I had on hand and the texture was suuuuuper weird. I used fat free in this instance and it worked out fine. 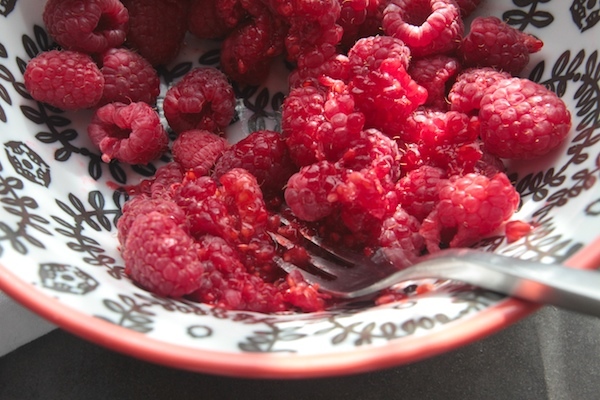 It’s really all about the raspberries! Holy crap these look good. So good. Way to be a sneaky mom. My husband can’t do dairy, but I’m thinking that this might be one of the few times that coconut milk yogurt would actually be a good sub. 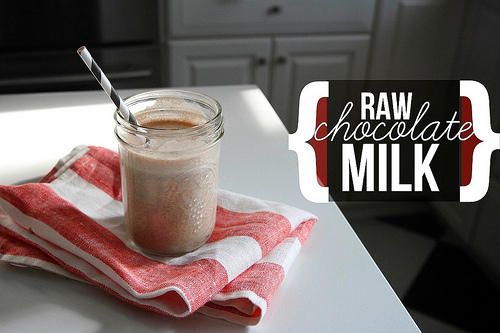 It’s normally way too sweet for savory dishes, but I bet this would be delicious! You win. I didn’t even know it was popsicle week and I made popsicles yesterday!! I must have sensed the popsicle energy around the world! haha! These ones look SO YUMMY! I live for proving certain people in my life wrong (my husband, my father-in-law, my brothers-in-law, my brother…mostly the dudes)! I mean, they’re all SO SURE of everything…it’s so triumphant. I especially love it when it’s food related, like these pops! They look amazing and I love that there’s a lemon curd swirl in there, SWOON. I always have IMDB pulled up on my phone for this case…..
Love this combo! Happy popsicleweek!! Yeah, I understand that it’s considered “bad.” I bought a bunch of it at Costco awhile ago and am working my way through it. Oh my, these look so good. Way to get Cooper on the raspberry train and make a delicious popsicle at the same time. The lemon curd swirl is a total pro move. Hahah yeah, totally love proving people wrong. Especially when it’s my dad or husband. But then, my dad thinks he knows which direction a street goes when it’s the street I LIVE ON. 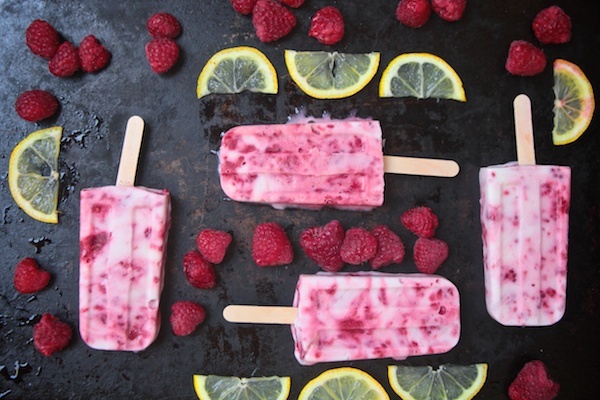 These popsicles look delicious, by the way. Yummo! I LOVE raspberries… kids are so funny sometimes! When I was about 7, I was eating blueberries (which I then adored) with my cousin, and she broke one open to show me the mushy, green inside. I was so freaked out I wouldn’t eat ANY blueberries for 4 years… weird. BTW Tracy, I put up a video on my YouTube channel that I thought you might be interested in- it’s 3 recipes for easy/healthy/quick breakfasts for summer. 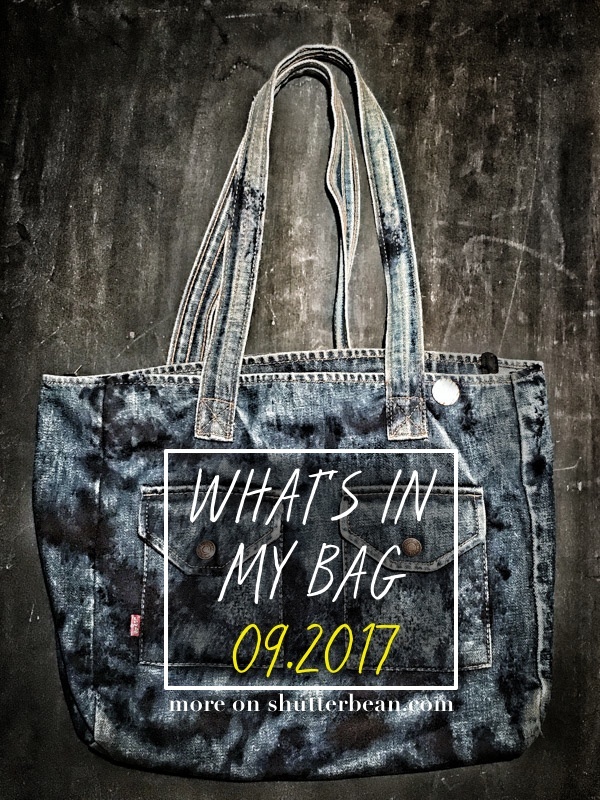 Just thought I’d let you know (read: it would mean the world to me if you checked it out). Here’s the link if you’re interested! These are just GORGEOUS and one of my favorite flavor combos! I’m loving all of the creativity for Popsicle Week. Just so much fun! What a perfect treat for a hot day. Well, maybe a warm day. Hot maybe a little messy 😉 This flavor combo sounds so mouth watering. Pinned!! Omg I so get it… my stepson is exactly the same way! Except I usually just don’t tell him I’ve included a dreaded ingredient until he’s eaten and loved it a few times, just to seal the deal. And these look fabulous! It’s kind of like you made the raspberries into (cold) raspberry jam (which Cooper likes) though… I too have the gene where I like proving people wrong (can you tell?) haha. 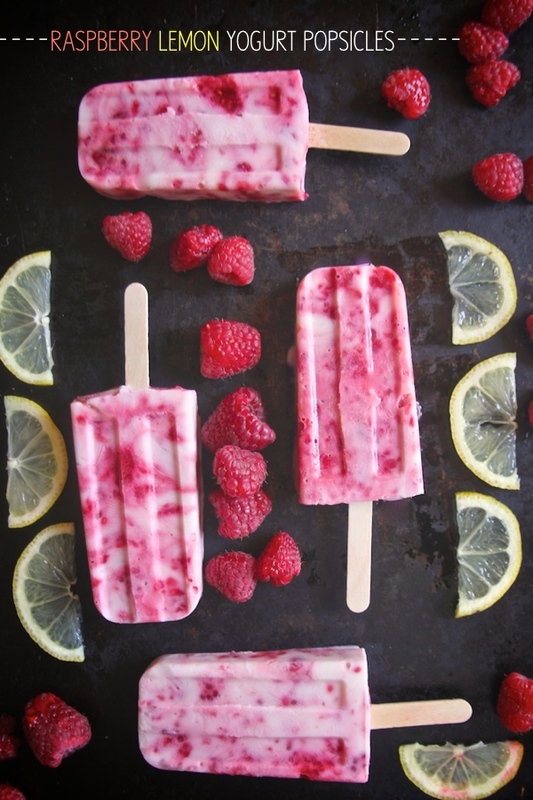 But seriously, these look amazing & I’m going to make them this weekend even though it’s winter here in Sydney & I’ll have to use frozen raspberries. YUM! I didn’t have raspberries or lemon curd, but I had plenty of strawberries! I used a little lemonade instead of milk and some fresh basil. 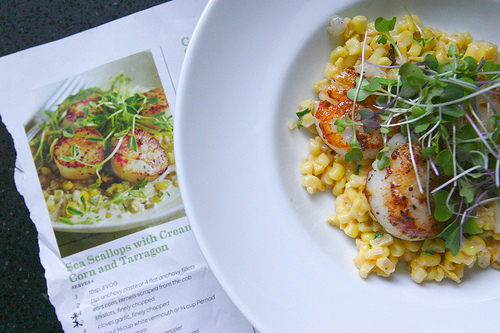 Wow – so good! Next time, I’m adding tequila. These look awesome! My kind of dessert! These are lip smacking good! This looks sooooo good tracy! I totally want to make these! I made these and loved them. I have family coming into town and wondered if I could freeze the whole mixture as frozen yogurt vs. individual popsicles. I think you could. The problem is it might be a little icy.